Primary activity of Business Initiative Directions is dissemination of culture quality in the leading companies of all countries. The international organization of experts consists of engineers, physicists, mathematicians, economists, sociologists and journalists. It constantly brings new ideas and improvements in the Model of Quality QC100. It gives an opportunity to follow on a way of quality and success to the companies. At the moment B.I.D. is leading nongovernmental organization that hands a prize for quality of management of the company. 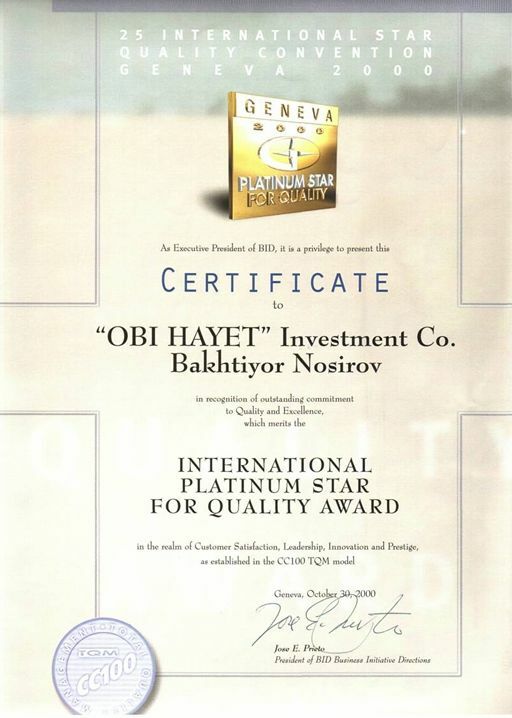 OBI HAYOT INVESTMENT COMPANY WAS AWARDED WITH INTERNATIONAL QUALITY CROWN AWARD. 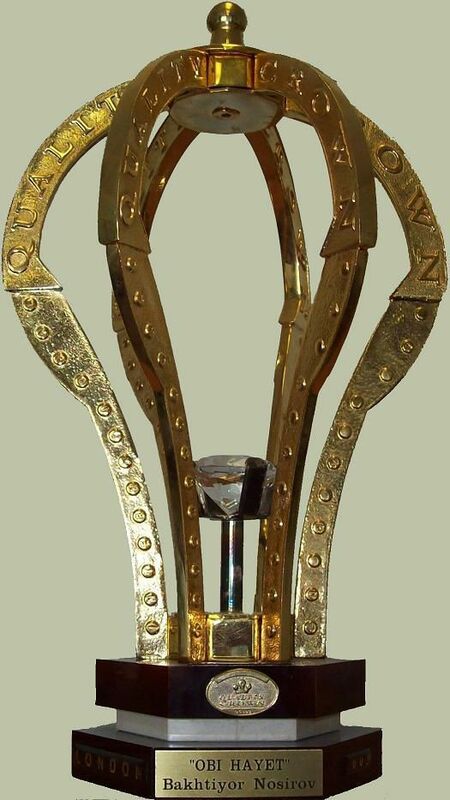 The international prize recognizes aspiration to quality, leadership, high technologies and innovations. 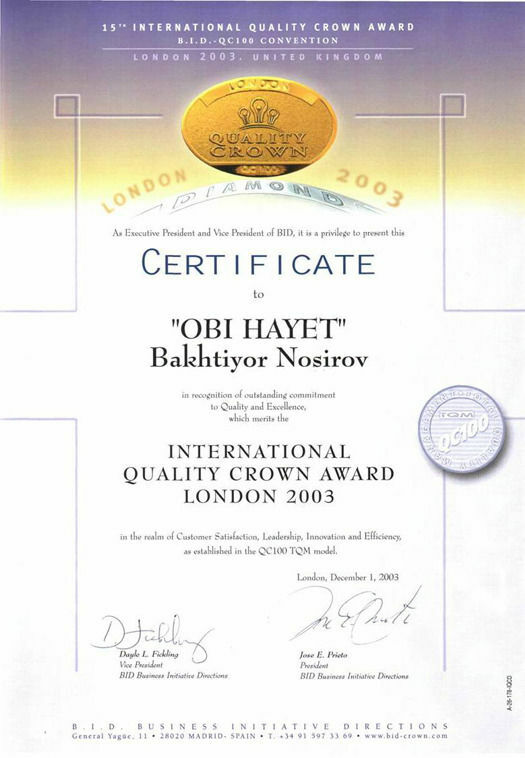 Ceremony of handing of the INTERNATIONAL QUALITY CROW AWARD was held on the 1st December 2003 in the Conference hall of Thistle Tower hotel, in London. The purpose of this meeting was a public recognition of aspiration to quality of the enterprises of various branches of manufacture and spheres of services from many countries. Thus, the symbol B.I.D. 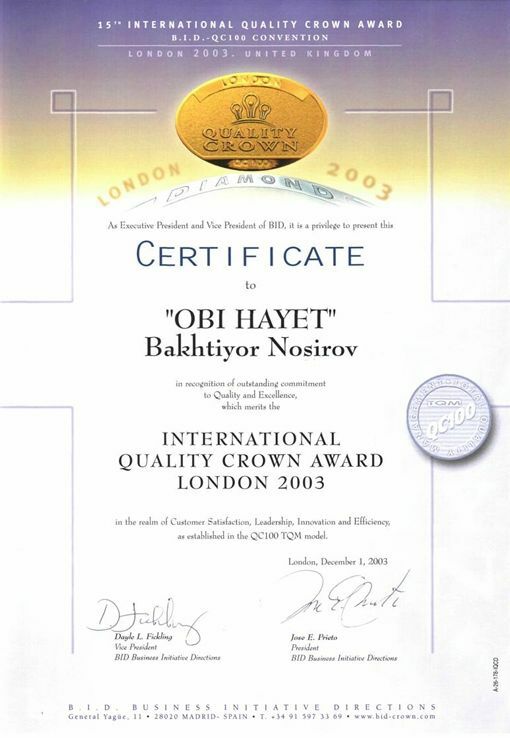 and technology of the model QC 100 Total Quality Management have been presented in 173 countries of the world that is a strong basis for introduction of perfection of quality systems . Awarded companies model of aspiration to the leadership, new technologies and innovations. They are an example for other enterprises in corresponding branch. International prizes B.I.D. are tool in sphere of the world communications, owing to distribution of the lastest technologies of culture of quality and an image of support. Thus the symbol of prizes B.I.D. strengthens corporate image of the awarded companies, when companies use it in sphere of marketing, advertising, mass media, as well as fairs, shops, offices, buildings and vehicles. 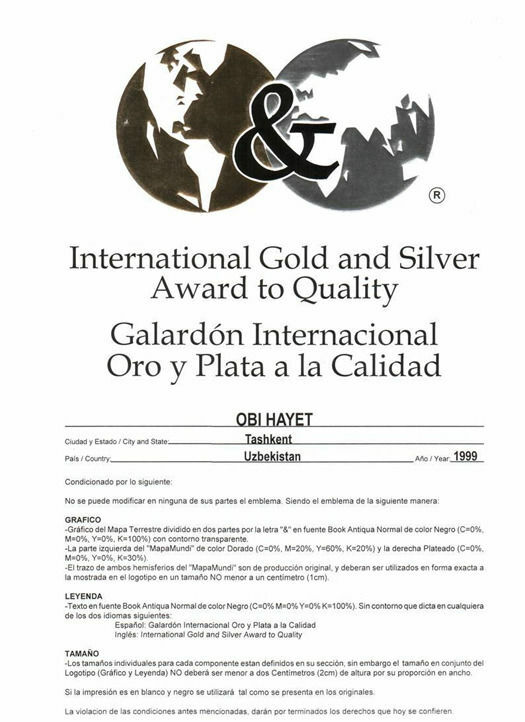 THE INTERNATIONAL PLATINUM STAR FOR QUALITY. 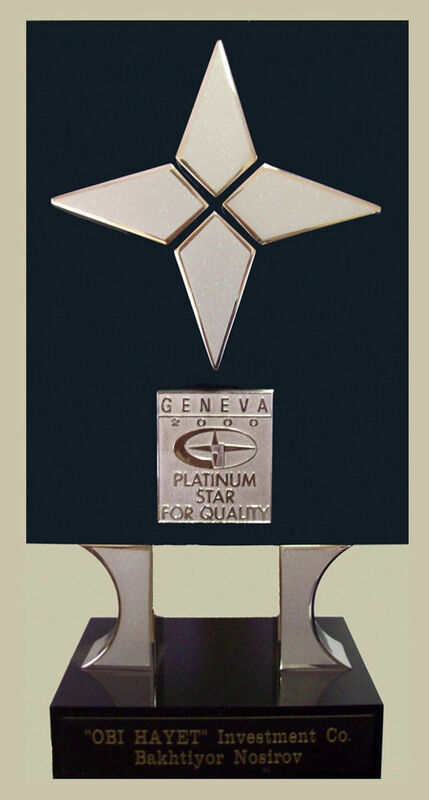 The international platinum star is awarded for the immeasurable contribution to the business world, for high position and professionalism. This award demonstrates conducted work. 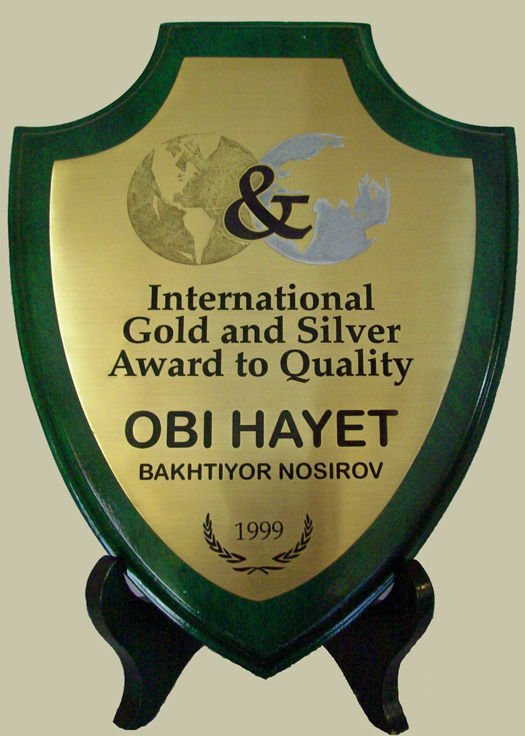 INTERNATIONAL GOLD AND SILVER AWARDS FOR QUALITY. 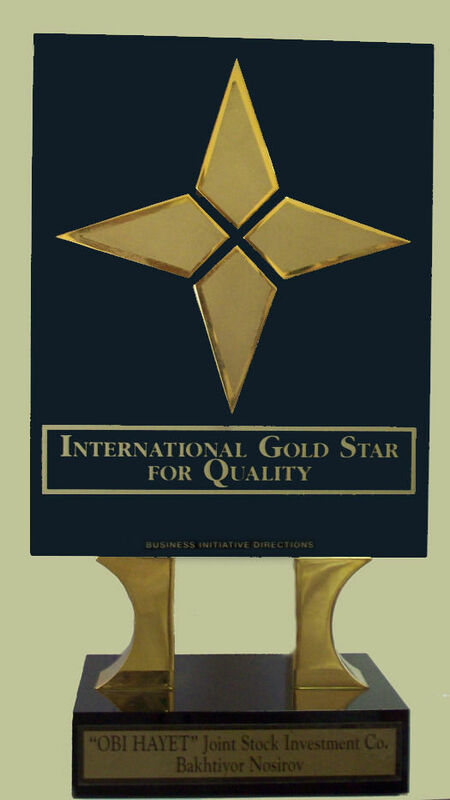 THE INTERNATIONAL GOLD STAR FOR QUALITY. 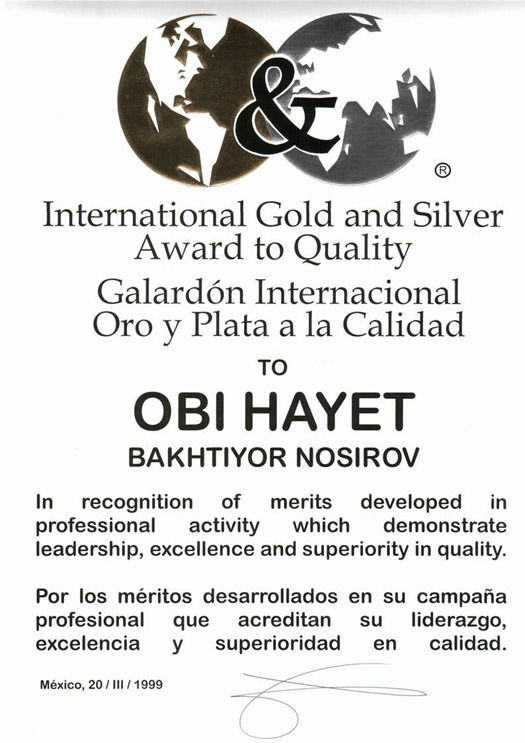 The international gold star is awarded for the immeasurable contribution to the business world, for high position and professionalism.